Ella Michelin has squandered too many years as a short order cook at a hole-in-the-wall diner in rural New Hampshire. Ready to start anew, she takes a weekend trip to Secret Grove, Florida, to do a little apartment hunting and scope out a location for her own restaurant. Coming back home, she faces the shocking news that her ex-boyfriend has been beaten to death with a frying pan. Ella is immediately targeted as a suspect and must battle to clear her name before she can fly south and rebuild her life in the Sunshine State. In a whirlwind week of investigating, Ella plows through an extensive list of suspects until she discovers the devastating truth about who really murdered her ex. Trading the chill of Minnesota for the warmth of southern California, Danica Mulrooney is ready to start a new life. Innocently opening up a gourmet dessert shop, Cupcakes by the Sea, Danica has no idea what chaos and danger await her. Someone is swapping ingredients in her shop and trying to poison her customers. But who? And why? Danica seeks answers while baking up a storm and inviting romance into her life with Lane Stuart, a gorgeous baseball player who joins forces with her to solve the mystery of the CUPCAKE SHOP CLUES. What could be more wholesome than home-baked cookies in the heartland? In the picturesque town of Bluebird Landing, Wisconsin, master baker Cathleen Vonnehaus serves up a cornucopia of chewy treats. But when one of the employees of Cathleen’s Cookie Castle goes missing, the frame of her picture perfect life is smashed. 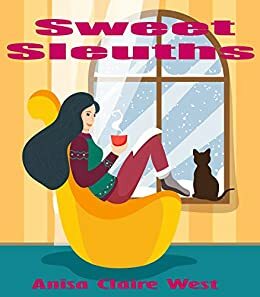 Spearheading an investigation into the missing person’s whereabouts, Cathleen uncovers that someone is trying to trick her and destroy her business. Chaos ensues as Cathleen fights to protect her bakery and not melt like chocolate morsels when a charismatic local shop owner tries to entice her. Far from the bustling city of Seattle, fragrant lavender farms thrive and apple orchards blossom. Nestled inside this idyllic Washington countryside is Becca Raymond’s famous pie shoppe, Deep Dish Delights. But her sweet little life is flipped over faster than a pineapple upside down cake when she crashes into the dashingly mysterious Marcus McCoy. Taking to the road with nothing but pie crust crumbs and her own uncertain heart, Becca joins Marcus on a rollicking adventure that culminates in the solving of a cold case murder…and the uncovering of a cluster of deep, anything-but-sweet secrets.